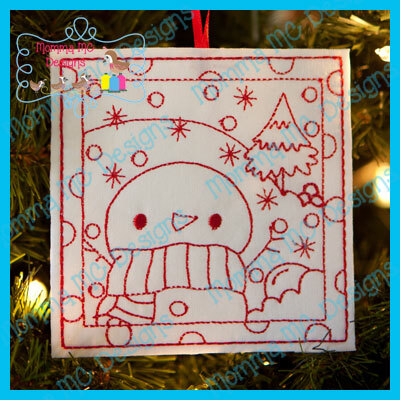 You will recieve Snowman 1, 2 & 3 Color Me Ornaments in this bundle. 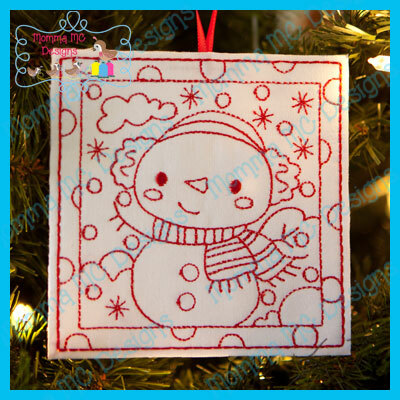 Stitch on cotton fabric for coloring with fabric markers, or on felt as a redwork design. These files were designed to be stitched in one color. However, for all the single needle machine users whose machines do not cut jump threads, there are extra stops in the design, so that you can cut jumps before they catch on your embroidery foot. For those that have machines that DO cut jumps, you can combine all steps in your software if you like. Designed for the 4x4 (100mm x 100mm) hoop.